We have a lot to go over, so onward and upward! 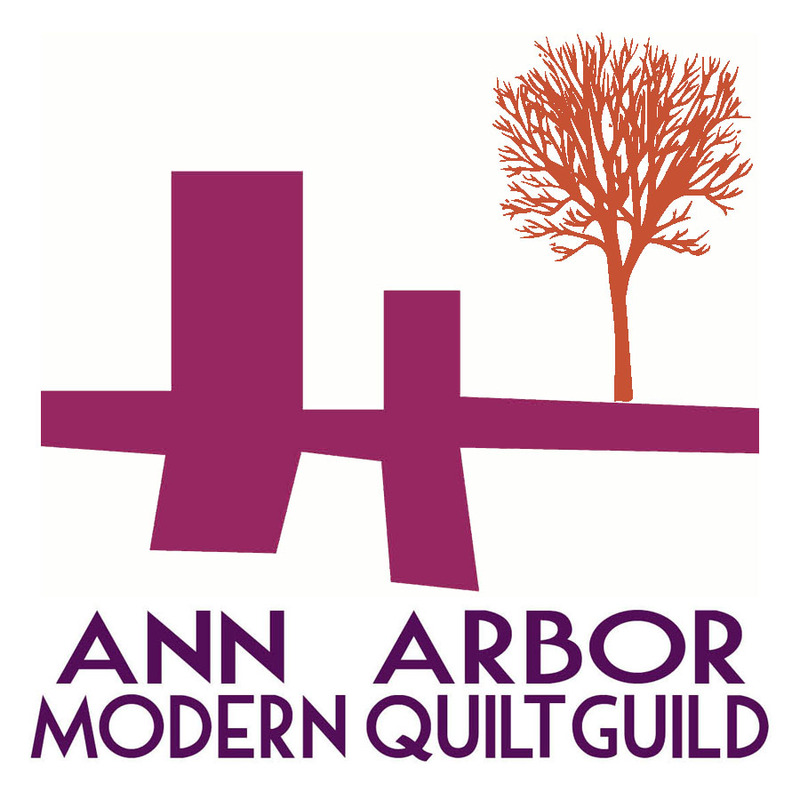 First, we have a meeting this Wednesday at 6:30pm at Pink Castle Fabrics. Please CLICK HERE and "Book" your spot for the meeting. This helps our host know how much space to prepare for our meetings. Do it. There will be an "x & +" Block Lottery Swap, for those who want to participate: For every block you make, you get an entry into the lottery. The lottery winner goes home with all the blocks. The block will be the 12 inch version of the x & + (x and plus) block. Please contact Debbie if you need the dimensions for the blocks. If you are participating in the Round Robin, please bring your projects. If you cannot attend, considering emailing Dorie so that she can plan the next rotation. Also, Debbie posted a couple of days ago looking for member profile questions. Please read the post and leave a comment! Now onto our blogging and crafts! 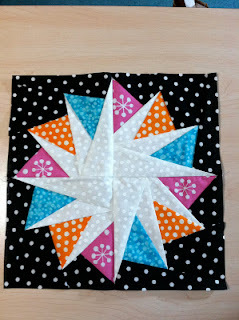 Debbie has made another stunning quilt from her Think Positive pattern! 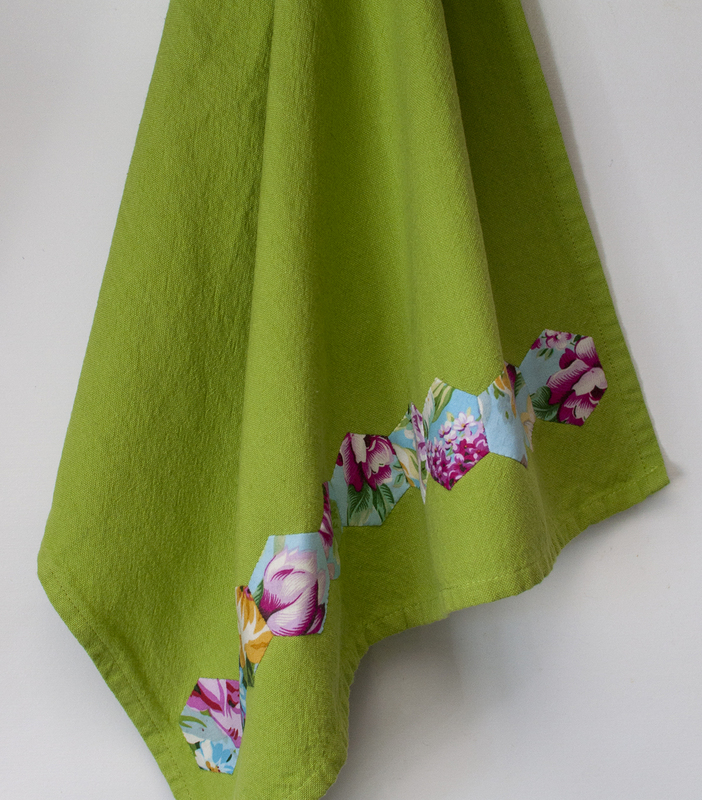 Lynn made this pretty tea towel using some Hexie papers she got from our former A2MQG member Paloma (who had to move out of the state - boo for us!). 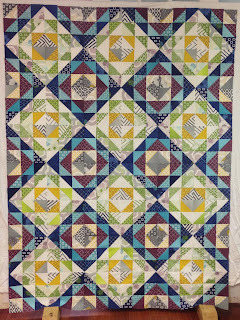 Rossie blogged about the Improvisational Piecing class she taught at Pink Castle Fabrics. She's got another class coming up on Saturday, September 21st if you are interested! 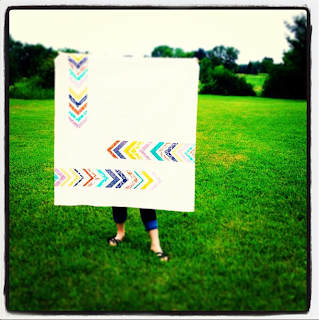 Amy posted about her fabric-selection process as a primer for the reveal of a Lotta Jansdotter quilt. 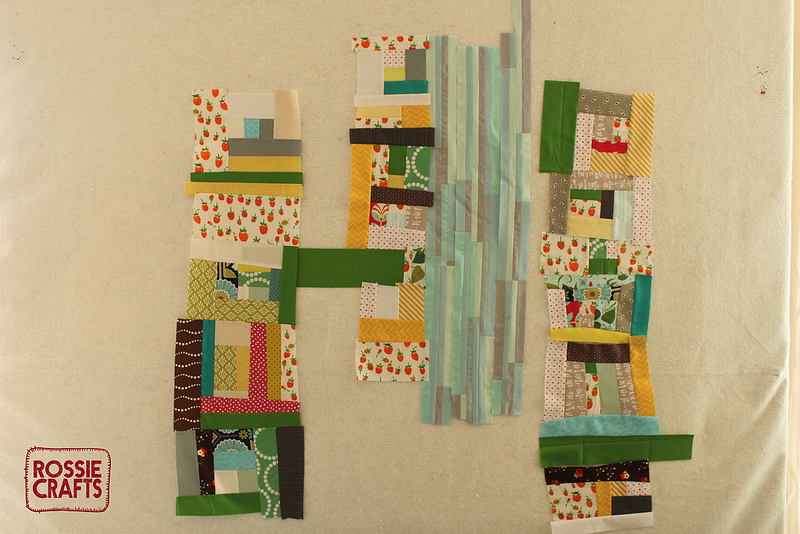 Kathy's got an exciting palm tree quilt in the beginning stages! Looking forward to watch this develop. 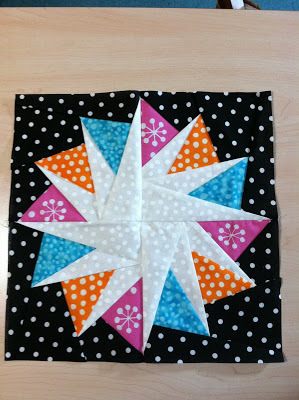 Pam's been cooking up some bright and fun bee blocks! And I posted a wrap-up of my Kids Clothes Week finishes! During the last meeting we decided to to an AAMQG member profile each month. I'm preparing a list of recommended questions for the interviewer to ask. So, what do you want to know about your fellow AAMQG members? What questions would you ask? 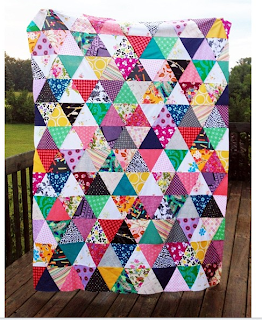 Pam shares with us this gorgeous wedding quilt! Debbie has this lovely look into her sewing space. And similarly, Lynn gives us this peek into her studio! Enjoy the break in the heat! 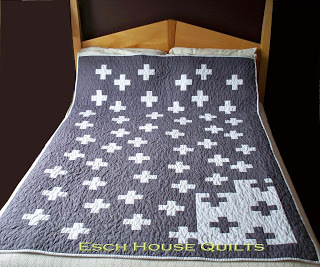 Check out Ginia's stunning Modern-Civil-War-Reproduction Quilt! She made it with some help from Brenda and hopefully it'll be a pattern available through Pink Castle soon! 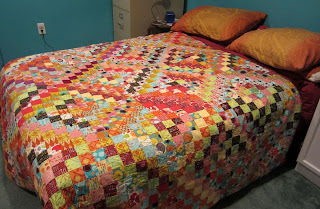 Amy finished her Scrappy Trips Around the World quilt! Love the colors! 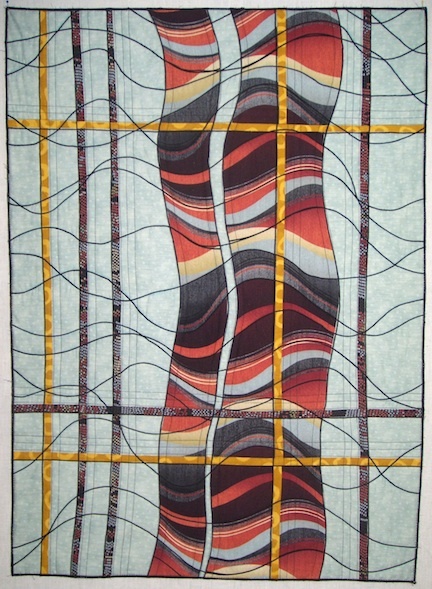 Debbie shares her fabric coaster project from her Quilting Arts television appearance! 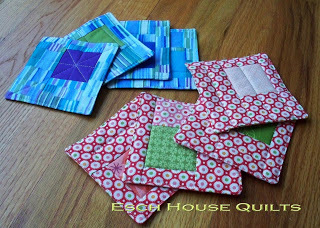 Pam has been cooking up some lovely Vintage quilt blocks! Also, check out this darling Christmas Block-of-the-Month quilt top, made by Pam! There is a sew-in on Sunday, July 14 at Pink Castle Fabrics from 12 - 4pm. Members and guests are welcome, although there is a $5 charge for any visitor who has already used their visitor pass. Hello friends! I took last week off, considering I was on vacation and so many of our lovely guilders were out at our Summer Retreat! Rossie did a nice post about her productive time at the retreat. 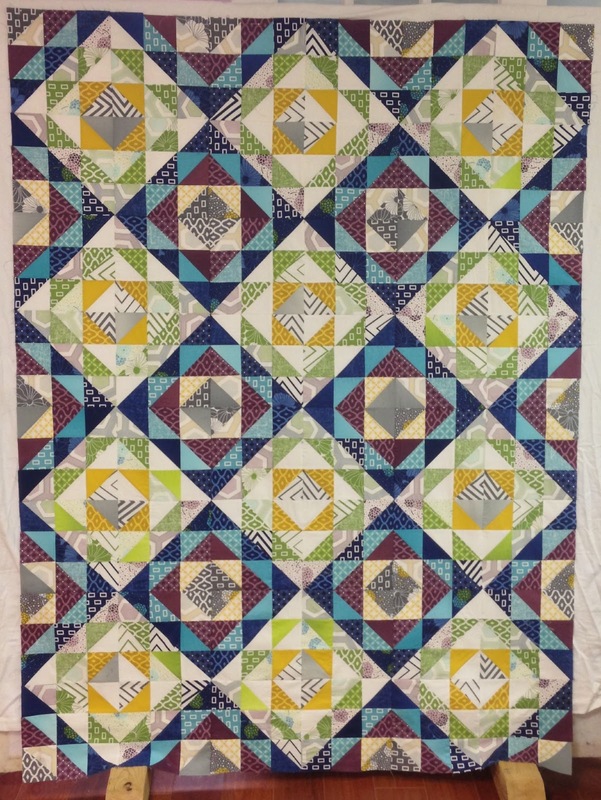 Pam has been working on this lovely blue and green project. And besides Debbie announcing that she's going to be one of the fabulous teachers at Camp Stitchalot in December, that's pretty much it in our blog land! Summer is such a whirlwind! Make the most of it, peeps! - The Hankerd Inn Sewing retreat is all set for the weekend. 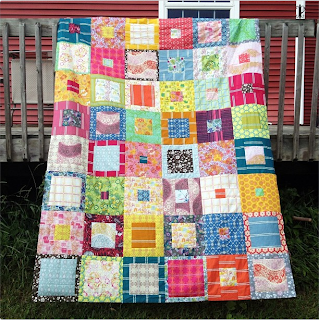 Jenna will write a blog post about the quilt and our auction. 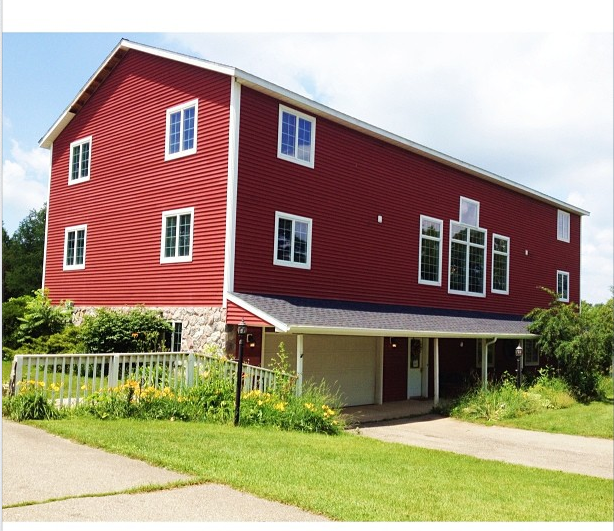 We will contact Habitat and tell them we're planning an auction in the middle of August. 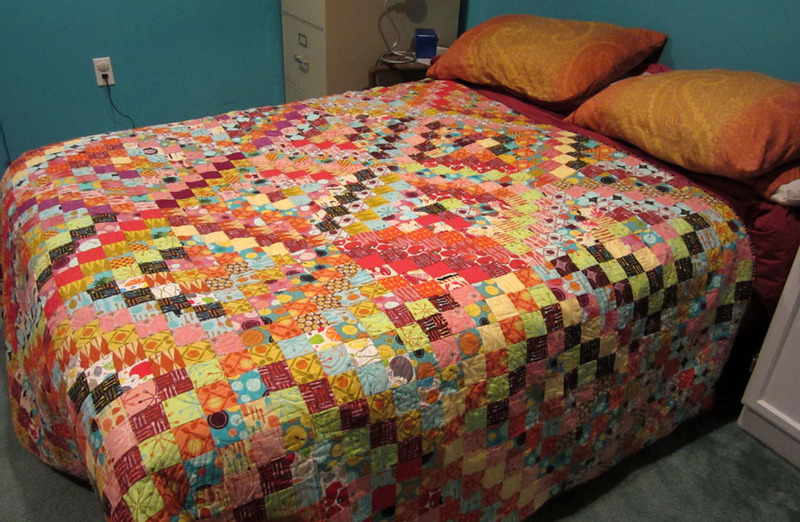 - Oklahoma quilts may no longer be accepted/needed. 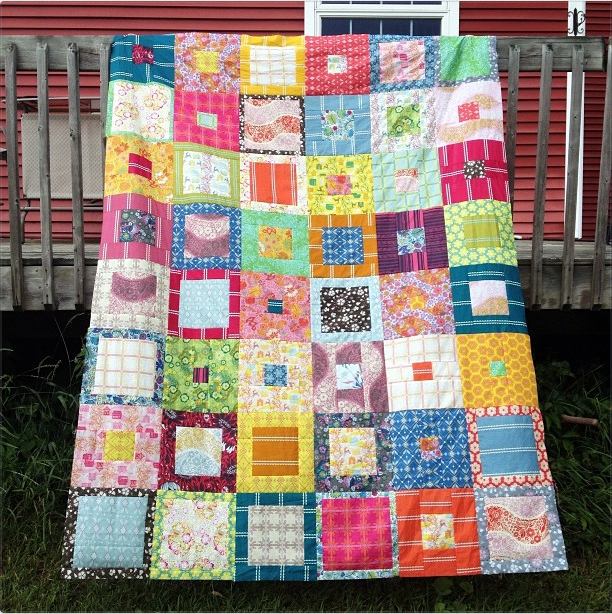 Some confusion on this issue, so quilts brought were donated to Margaret's Hope Chest. - Our website: rather than moving forward obtaining our own domain, we will wait for our MQG-hosted site. - Grand Rapids Quilt Show the weekend of August 15th. If you are interested in attending, you can contact Debbie. - x and + block demonstration by Debbie for next month's swap. Lottery: however many blocks you bring in is how many chances you get to win the blocks. - Ginia as emailed our membership the AQS rules for their 2014 contests. 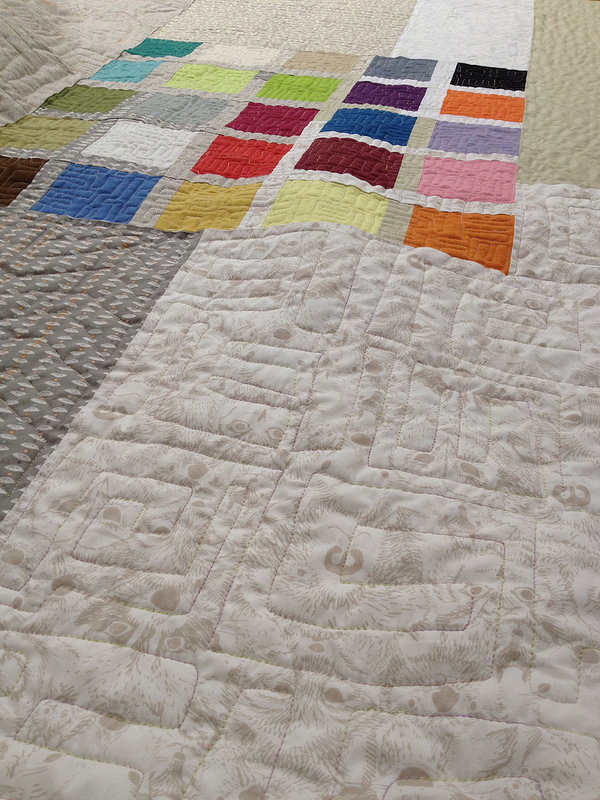 - Rossie made a note that our membership is interested in how quilters get published in magazines. 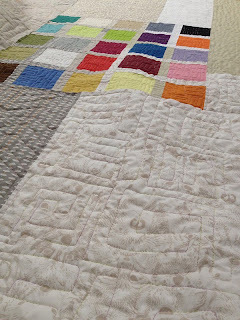 - Rossie has presented the MQG (by request) a rubric of judging criteria for Modern Quilts to be used in future contests upon revision by the MQG board. Jenna ill be spotlit next month. Debbie will email her some questions.